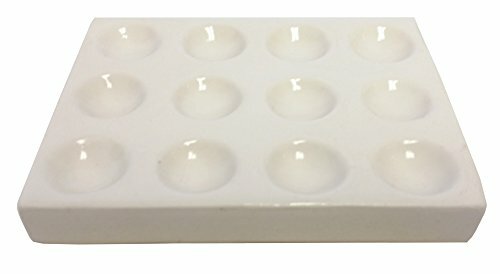 Our porcelain Spot Plate has twelve depressions. It is 115mm by 90mm by 19mm. Sold in a pack of 10. Our porcelain Spot Plate has twelve depressions. It is 115mm by 90mm by 19mm. If you have any questions about this product by GSC International, contact us by completing and submitting the form below. If you are looking for a specif part number, please include it with your message.